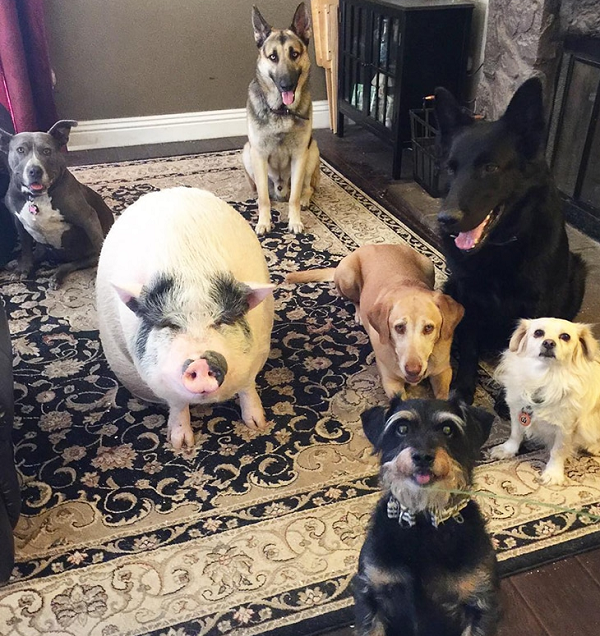 Adorable Potbelly Rescue Pig Thinks He’s A Dog! Too Precious! 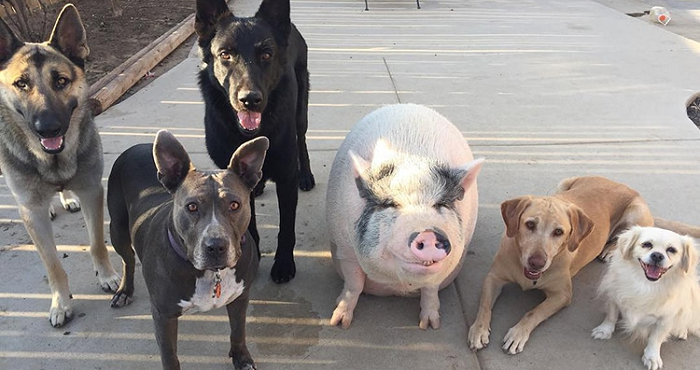 At the adorable age of 5, a little pig named Chowder has found the perfect home: among equally adorable dogs! Chowder was rescued from a slaughter house at just 4 months old…but the damage had been done. He didn’t trust anyone, especially humans. He was brought to live in a foster home, but he would feel comfortable around his human for another 8 months…and even then, the extent of his affection to her was to simply sit near her. The potbelly might not have warmed up to his human very quickly, but he did find acceptance and love with his new puppy brothers! They didn’t see him as a pig…instead, they saw him as their brother. Their strong bond transcended species and breeds to form one devoted pack. They might look a bit silly from the outside, but everyone who knows these animals knows just how awesome they truly are. Chowder doesn’t know the difference and does everything that he can to be there for his family. He may even believe that he is a dog at this point. After living nearly his entire life with his “pack,” he finally has learned to trust humans again and shows his human the same love and affection that she shows to him!